Fleet: 1x Merlin (OO-PSM), 1x Falcon 20 (OO-PSD), 1x F27 (OO-PSF), 1x B707 (OO-PSI). History: Compagnie Européenne de Recherches (C.E.R.) came into being during 1977, initially to detect oil fields. However, it was primary conducting governmental/executive/VIP transport. 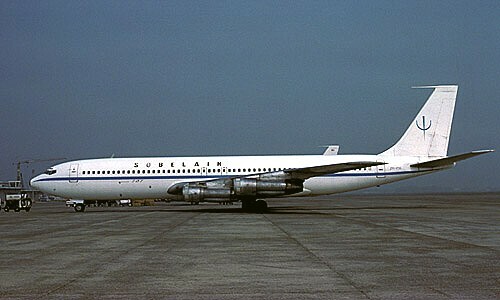 The B707 saw mostly life with Sobelair, but was also briefly used by Air Belgium. When this airframe was disposed of by September 1981, the company went like it came: in mystery.